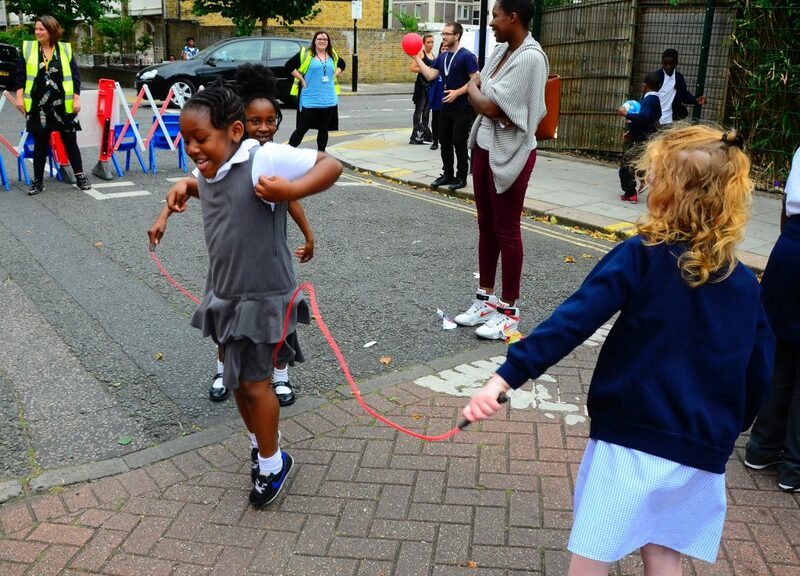 Hackney Play Streets are as popular as ever with around 1,400 children taking part annually in the last two years. Hackney residents volunteer to organise the road closures in their own streets, so children get to play out, and neighbours of all ages can meet and chat. Typically they happen monthly or bi-monthly. Several have been running for nearly five years and several schools and nurseries are also joining in. 50 streets and estates took part. Play streets enabled over 28,400 child-hours of activity, on a par with 16 additional classes of weekly term time PE lessons running each year. Total annual activity levels have sustained over the last two years at over 10,000 child-hours per year. Traffic disruption was minimal, with an average of nine vehicles diverted or walked through per session. 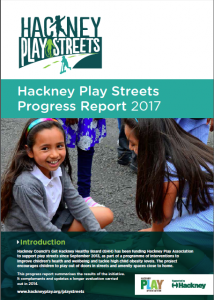 Hackney Council’s ‘Get Hackney Healthy’ Board has been funding Hackney Play Association to support residents and schools to run play streets, as part of a programme of interventions to improve children’s health and wellbeing and tackle high child obesity levels. You can also get free support and resources from Playing Out, the national organisation that pioneered the ‘playing out’ model of street play.